The BBC is to launch a new iPlayer channel for Wales as part of proposals to spend more money in the Principality on programming. An additional £8.5million per year of new funding will go towards more comedy, entertainment, drama, factual and culture programming coming out of Wales, and will enable BBC Cymru Wales to invest more on services reaching younger audiences as well as develop its online and mobile news services. Under the plans, total investment in English language TV services from BBC Cymru Wales is expected to reach almost £30m per year by 2019/20. Two major new drama series from Wales, which will benefit from the new funding, are expected to be announced within days. The new BBC Wales iPlayer channel will become the new home for Welsh programming available across all devices and in all parts of the UK. More than 130 hours of additional programming will be made each year and shown across BBC One Wales, BBC Two Wales and the BBC iPlayer. The BBC aims to make at least half of the additional programming available nationally on BBC One, BBC Two and BBC Four. 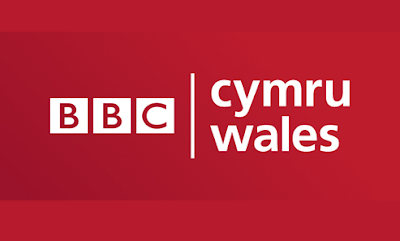 But with licence fee funding remaining under pressure in the coming years, largely due to the BBC absorbing the cost of over 75s TV licences, the BBC has not indicated which parts of the organisation will need to cut back or freeze spending to accommodate the extra investment in Wales. Neither has the BBC confirmed at this stage when viewers in Wales will be able to see some of the extra programming from the Principality in high definition on BBC Two Wales, which lacks an HD outlet, unlike BBC One Wales.